Christeyns, which has its head office in Rutland Street, offers all 130 members of staff the opportunity to take time out to help the community through a variety of regular volunteering initiatives. Newhall Park Community Primary School is in Bierley and provides education for over 400 children from ages 3 to 11. 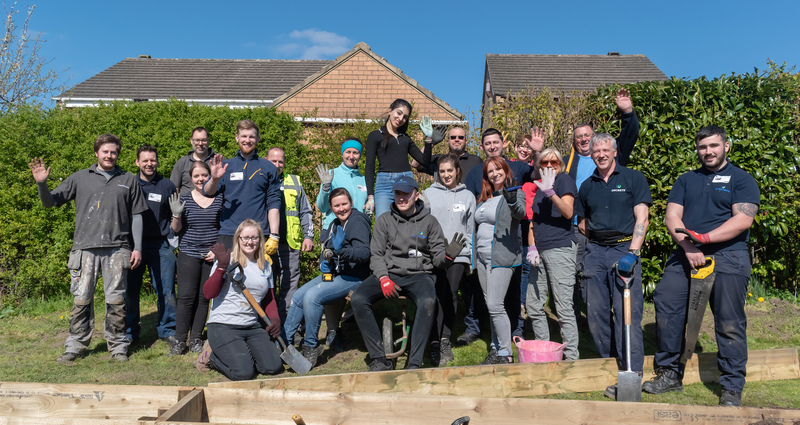 Twenty members of staff from various departments across the company spent a day carrying out an extensive range of tasks including building a decking platform for the pond area, mapping and landscaping a raised bed gro wing area as well as building the raised beds.